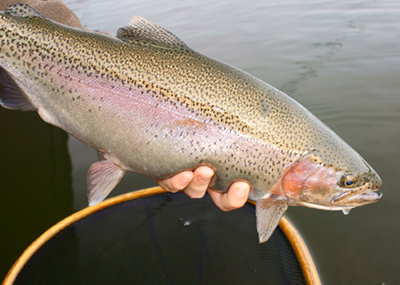 Unravel the mysteries of fly fishing lakes! You are invited to join me for a full or half day of guided stillwater fly fishing instruction targetting the fish of your choice; trout, pike or walleye. I will provide you with one on one comprehensive stillwater fly fishing instruction. My goal is to expose you to all aspects of stillwater fly fishing such as fly line selection, leader set up and construction, floating & sinking line techniques, entomology, pattern selection, understanding structure, deciphering lakes, loch style techniques and so much more. You will be seated beside me in my fully outfitted motorized 17-foot Yamaha 1756 VBW boat complete with carpeted floor, pedestal seats, and double anchor system. My boat has been outfitted with stillwater fly fishing in mind. Its clean lines make casting a joy as there are few objects for fly line to foul. 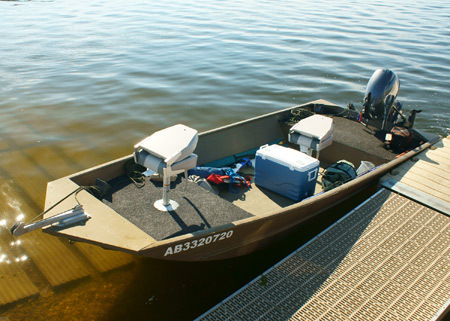 The boat is extremely stable making for a safe, comfortable, enjoyable on the water experience. I am fully insured and trained in first aid. Within 2 hours, often less than 1 hour, from the greater Edmonton area there are a number of productive quality stillwaters. Depending upon your desire or expectations trips can be tailored to hatch preferences, a specific technique or either quantity or quality of fish. Chironomid techniques are a speciality. Large trout are a distinct possibility. The selected lake will be based upon a balance between meeting your expectations and our best chance of success. Pike on the fly can be heart stopping. In many instances the take is clearly visible, often within a rod length the boat! Within an hour of the greater Edmonton area await opportunities for large pike rivalling remote destinations. This is a seasonal fishery, as such instructional guided opportunities are offered in spring as the season opens and again in late fall prior to freeze up. 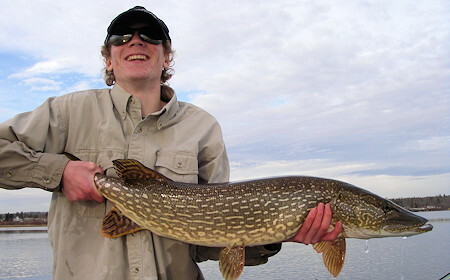 Either time frame offers up the chance to shake hands with a number of large aggressive pike. Walleye on the fly is something new for most fly fishers. Some actually believe walleye do not take flies! Believe me they do and in alarming numbers. After a full day on the water your arms could be the consistency of rubber! The Edmonton area offers a number of lakes with consistent season long opportunities. 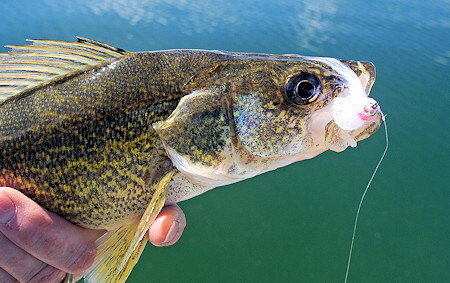 I will introduce you to my unique walleye methods on the fly including floating line techniques, with and without indicators, along with a variety of sinking line techniques including my fly fishing equivalent of the famed Lindy Rig. Transportation to and from an Edmonton area hotel or mutally agreeable pre-arranged meeting place. Trips to lakes outside of the greater Edmonton area can also be arranged. Depending on the travel expenses their may be additional costs for these trips. Use of premium quality gear such as Mystic fly rods, Islander Reels and RIO fly lines. You are welcome to use your own gear as well. Post trip PDF summary detailing equipment used, sucessful flies, strategies and tactics etc. All you need to bring is yourself and suitable clothing. Leave the rest to me, including the pictures! During the months of June and July our long daylight hours allow the opportunity to stay on the water until almost midnight! Trips can be adjusted should your schedule be more conducive to a later start to your instructional day. A 50% deposit to hold your booking is required. The deposit is refundable up to 60 days from the start of your trip. Inside of 60 days the deposit is non-refundable. If the trip can be rescheduled your deposit may be carried over depending on the nature of the cancellation. Deposits can be paid by cheque or via credit card through PayPal to my email address flycraft@shaw.ca. Please do not send cash.